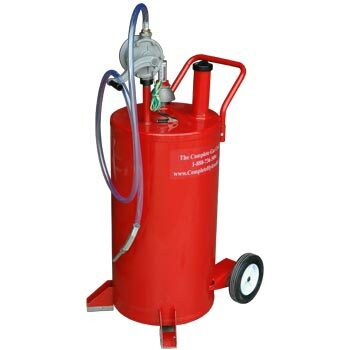 The TCGC is a 25 Gallon Gas Caddy that is perfect for homes, shops, marinas, go-kart tracks, farms, or anywhere you need to easily transport and dispense fuel. The TCGC 25 Gallon Gas Caddy works with gasoline, kerosene, diesel, or mixed fuels. The TCGC Gas Caddy's weight is just under 80 LBS. If you have any questions regarding shipping procedures or would like more information on this equipment, PLEASE CALL US AT 1-888-736-5094!